2018 TOWN OF SWANTON ANNUAL REPORTS ARE AVAILABLE FOR PICKUP AT THE TOWN CLERK'S OFFICE, THE VILLAGE OFFICE, THE SWANTON PUBLIC LIBRARY, & AREA BUSINESSES. 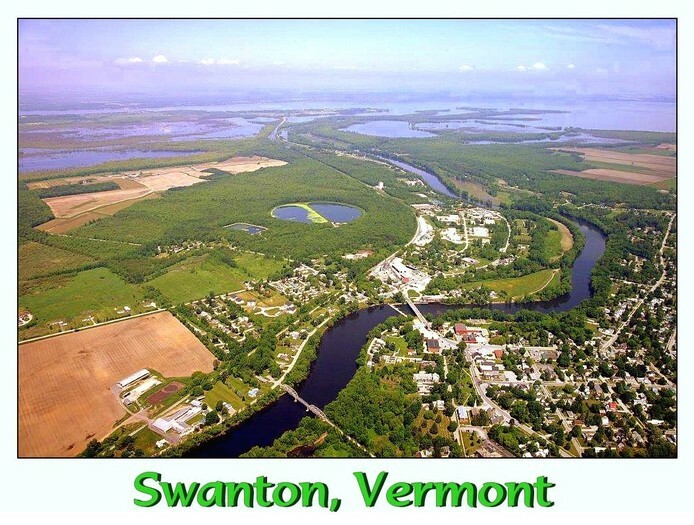 The Town of Swanton is one of the most attractive communities in Vermont. It is located in the northwestern corner of the state bordering Lake Champlain on its west and Quebec Province in Canada on its north. Interstate 89, Vermont Route 78, and U.S. Route 7 are the major transportation routes through the town. These routes meet in the village center to form a foundation for the town's vibrant commercial hub, which is made up of a mixture of family-owned businesses, national stores, and a variety of residential housing types, as well as the municipal offices, village police & fire departments, and the Swanton Elementary School. Numerous industries surround the Village Center and the outlying areas of town are residential and agricultural in nature. The scenic Missisquoi River meanders through Swanton and over the Village Dam before flowing gently into Lake Champlain via the Missisquoi National Wildlife Refuge. The river and lake are important segments of the Northern Forest Canoe Trail that stretches from northcentral New York to the far reaches of northern Maine. The earliest inhabitants of this region dating back about 10,000 years were the Abenaki whose tribal headquarters and museum are located in Swanton. The town was chartered on August 17, 1763 by New Hampshire Governor Benning Wentworth when this territory was claimed as part of that state. Swanton's rich history can be explored at the Swanton Historical Museum.